There's a lot of ugly things in this world, son. I wish I could keep 'em all away from you. That's never possible. In the first seconds of this dawning glory, Elmer Bernstein’s notes softly dot and fade. A child, our beloved Scout, hums lullaby-like. At the heart of the masterpiece, a cigar box. At the heart of the box, Gregory Peck. A silent pocket watch ticks in remembrance. Scout lifts a crayon and sets in motion the quiet, unintentional roll of a marble and the wonderment of the examined life found in every moment, of every life. 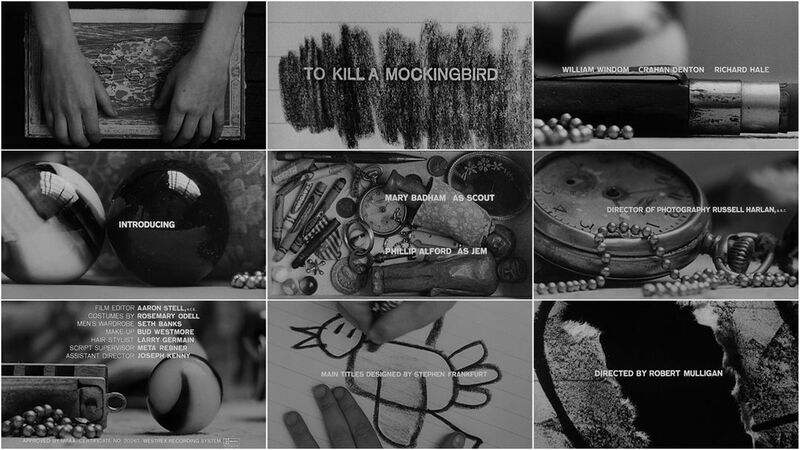 Stephen Frankfurt’s opening title sequence for To Kill A Mockingbird forces one to slow down, to note the window reflected in the marbles. We get the sense that this lolling calm happens just off screen while, on the other side of that window, Atticus – the very embodiment of security – sways thoughtfully on the porch swing. Frankfurt’s perfect compositions reward anyone in illimitable meditation. This is, in part, a testament to his masterful macro photography, an innovation that broke the mold upon inception. There are many other instances of extreme close up in film, but in these opening moments we find a kind of lyricism we recognize as honest. The goal was “to find a way to get into the head of a child,” Frankfurt has said. What grips you upon subsequent viewing: the sequence is tonally different than the film while being reflective of it. A wave, as drawn by Scout, is cross-matched with the beaded chain over the silent timepiece. She draws what can be discerned as dividing lines. 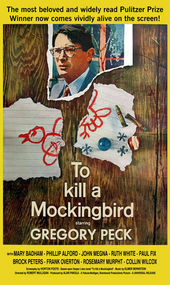 And in the tearing of the mockingbird, a chasm.